OG Lineup Reunited! A mystery that could rewrite cultural, space and political history is revealed. What is the future of television? How about a technology that draws on your flipping eye balls! This triggers Brian to imagine a beautiful world where everyone is forced to wear glasses. Then Andrew and Justin disagree. Then the yelling begins. Oh, the yelling. 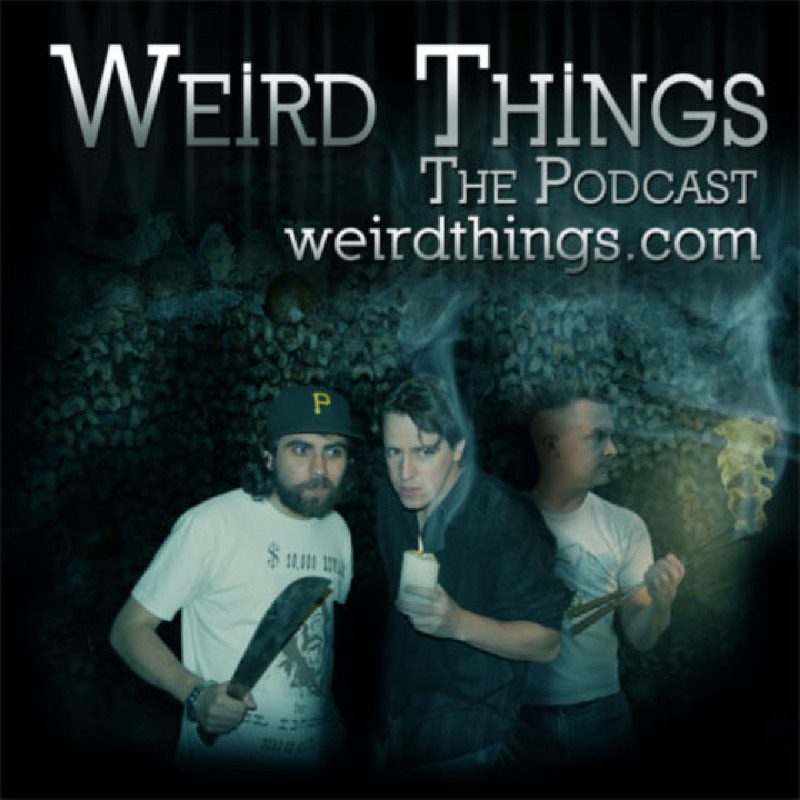 Ask Thin Lizzy, the Weird Things podcast is back in town! FLOWERS is the third feature film from writer/director Phil Stevens. An abstract, surreal horror film centering around six dead women waking up in the crawl space below their killer’s house only to discover that they are trapped in their own limbo and purgatory. A movie that tells it’s story in silence. Without any spoken dialog and surrounded in a cryptic and dark visual atmosphere, FLOWERS is a film that builds on the journey and not the destination. check out the site at flowersthefilm.com or help out by donating to the kickstarter at http://www.kickstarter.com/projects/manomatul/flowers-a-return-to-the-dark-art-house-underground. 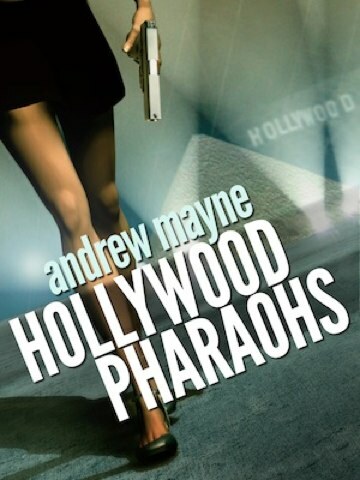 Support the show by purchasing Andrew’s BRAND NEW BOOK Hollywood Pharaohs just click on the image below. I’m having a fantastic time listening to this show. If you could see the smile on my face as Justin, Andrew and Brian work themselves into a complete and utter lather over laser projection, you would be amazed. I’m trying to get cleaning done on Sunday morning with the kids playing in the livingroom and they keep asking what I’m laughing at. This is so much like the arguments I used to have in University with my friends. Wish I was there! Just for fun, I assumed that the manhole cover from the Pascal-B underground nuclear shot didn’t succumb to atmospheric drag (as it, of course, must have… Andrew) and continued skyward at the calculated rate of 56km/sec. At this velocity, the cover would now be 99.7 billion km from Earth. In comparison, Voyager 1 is only 18.5 billion km from Earth. Setting my astronomy app for 4:35pm on August 27, 1957 (the shot time), we find that the star Beta Canum Venaticorum was nearly directly overhead the Nevada shot site (Lat 37.04903 N; Long 116.0347 W) . This star has been listed as “among the most astrobiologically interesting stars within 10 parsecs of the Sun” (ref 16 in Wikipedia entry for Beta Canum Venaticorum). At the rate of 56km/sec, the manhole cover should reach beta CV in about 147,450 years. By then, it should be nice and sterile. I find it amazing that Andrew has this inability to see the negative side of this inter-retinal laser projection argument. I don’t think we’re going to be worried about advertisements as much as pranksters and terrorists. If you’re telling me that local businesses are going to be able to use this technology near their own buildings, but everyone is generally going to denying permissions, then it has to be cheap enough to justify what little gain would be had. So these tiny, cheap projectors are going to be able to be easily affordable. Imagine someone who wants to kill a number of people, projects images and sounds coming from one direction, only to have the people fleeing come right to where he wants them. The laser blocking glasses or contacts will be necessary for at least law-enforcement to catch anyone who would be using these projectors nefariously.